Iran historical tours usually take 9 Days. You can visit cities like Tehran, Shiraz, Yazd, Isfahan, Kashan and Qom which include World Heritage Sites such as Golestan Palace, Pasargadae, Masjed-e Jāmé of Isfahan, … . Shiraz, Mashhad, Qom and Tehran are the primary religious cities of Iran. Our religious tours cover these cities in 6 days. In Shiraz you can visit The Holy Shrine of Shah Cheragh, The pink mosque and Vakil complex, Persepolis, Hafez and Saadi tomb, etc. In Mashhad, Imam Reza’s holy shrine, Torghabeh, Shandiz area, etc. In Qom you can visit Fatima Masumeh holy Shrine and in Tehran Holy Shrine of Shah Abodol-Azim and Holy Shrine of Imam Khomeini. Our eco tours usually take 6 days and include desert tours, mountain-climbing tours, off-road tours, village visiting tours, Diving Tours, Walking Tours, etc. etc. 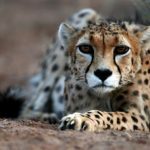 We provide you with a safe and exciting tour to see and experience the natural wonders of the Iran nature and wild life. There are for sure many wonders here you will be surprised to see. Our desert tours take 19 Days, visitng Shiraz, Bavanat, Meymand, Kerman, Shahdad, Zeinodin, Yazd, Garmeh, Mesr, Isfahan, Abyaneh, Kashan, Tehran. One of our special tours is the desert tours. The golden sands of Varzaneh, the hottest place on earth in Lut Desert and Dasht-e Kavir are just some of the astonishing places of the vast areas in deserts of Iran. And when we say vast we really mean it! Deserts comprise 25 per cent of the total area of Iran which adds up to one fourth of the country’s land area. To make most of this, we have desert tours as inseparable parts of our annual program. 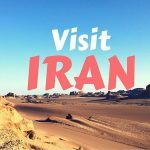 Iran desert tours offer different packages: desert safari, quad biking, sandboarding, camel riding, staying overnight in desert and desert village tours. a desert tour is a unique experience you’d better not miss. You will embark on a journey into the heart of Dasht-e Kavir and Dasht-e Lut deserts and during the tour you will meet the sweet natives of Iran deserts with their sunburnt complexion and adorable little felt hats. It is proved that these areas have been covered by water once in history. you can see it for yourself in an Iranian desert like Varzaneh where billions of tiny shells are scattered all over the dunes. An exploration of an Iranian desert could be mind-boggling and indeed dangerous if you don’t have a map, GPS, a native guide and plenty of water. But if you join our professional tours, you will be safe and enjoy the most of your travel. Damavand, Sahand, Sabalan, Dena mountains are the most popular mountains chosen for climbing tours and camping. The highest mountain in Iran is Mount Damavand (5619 meters) located about 80 km northeast of Tehran; Also, it is the highest volcanic mountain of Asia. 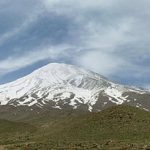 There are four main routes to climb Mount Damavand, including the North, Northeast, South and West. There are two ways to reach the shelter of northeast route, located at 4,320 m. One route starts from Gazaneh , 1,650m above the sea level and the other one starts from Nandal village at 2,300 meters above the sea level. Northeast route is the most beautiful route to climb Mount Damavand from Nandal village. Our Nomd tours take 8 days, during which you can visiti Tehran –Isfahan – Yasuj – Shiraz – Khosrow ShirinVillage’s Region – Dash-e-Bokan. Iran Nomad Tour is a kind of Iran Adventure Tours. our tour guides are expertise and some of them are Iran Nomads, there are several Nomad tribes like as Qashqais, Bakhtiaris and Shahsevan in Iran. You will enjoy their unforgettable hospitality when you travel to Iran, Some nights’ accommodation in Nomads’ tent will be different nights for travel lovers. You can see how they, especially women, weave carpets, and other handwoven arts. The proximity of fertile plains and mountains in Iran facilitates the transhumance of nomads between summer and winter meadows and pastures as Nomads search for grazing for their animals. In such a setting, several different tribes of nomads, with unique lifestyle, colorful costumes and distinctive textiles have long been attracting visitors of Iran. Nomads also have great wedding ceremonies and also special dancing you can see nowhere else in the world. Due to Iran’s geographical location today’s Persian cuisine is enriched with tastes and flavours of Persian, Azerbaijani, Kurdish, Caucasian, Turkish, Indian, Greek and Arabic gastronomy. At Persian Food Tours we offer half-day food adventures. We’re here to promote Iran’s culinary culture, share the secrets of a Persian kitchen and enrich your trip to Iran with one tasty memory. 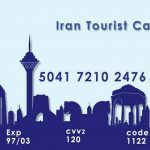 In Silk Road tours, you will visit Tabriz and its rich culture, Zanjan’s Sultanieh which is the biggest brick domes in the world, Tehran’s museums and priceless items in them, Isfahan’s wonderful mosques and palaces, and you will visit some of the highlights of world history in Persepolis and Naghsh-e Rustam, recite poems with Shiraz is in Hafez tomb, idle in Shahzade Gardens of Mahan, stay overnight in Caravansaras right on the Silk Road, see the oldest Zoroasterian fire in the world still burning after thousands of years, watch sunset at Iranian desert, Dasht-e Kavir, and watch the Milky Road in the sky during night, travel through the history in Damghan town, enjoy driving through Iranian thick forests by the Caspian sea, and at the end the holy city of Mashhad having the great Imam Reza shrine. 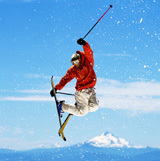 Our sport tours include skiing, Diving, Surfing, Boating, Cycling, Climbing and also the traditional sports of Iran. Our skiing tours take 7 Days in Tehran, Dizin, and Kish. Dizin ski resort is located in the Northwest of Tehran. There, you can have a Full day skiing and snowboarding, and all the facilities are available. Then flying to the Kish Island in the Persian Gulf, you will have A full day water sport including: Boating, Surfing, Diving, Skiing and etc. Our cycling tours take 7 days. Cycling takes place in Tehran, Gamabdar, Lar valley, Deli Chai River, Vararu plain, Western slopes of Mount Damavand, Mount Damavand. This tour takes 10 Days in Tehran, Shiraz, Yazd, Isfahan, Kashan, during which you will have a great experience in Zurkhaneh in which Pahlavani or Varzeshe Bastani is practiced.